I always see this sign on the way to church. I have no idea what "foot detox" is. 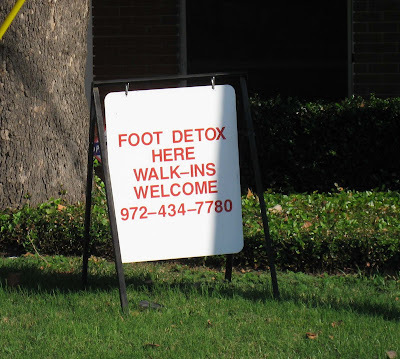 And I wonder if you need "foot detox," don't you think it might be difficult to "walk in." Only Joanne commented on my in-progress lamp piece. (Scroll down for details.) I think she might be correct about the size of the lamp. Jeff thinks it's funny what people comment on. Sometimes a post about art generates no comments at all, but if I write about the dog, or new shoes, or grocery sacks... everyone wants to join in the conversation. We bloggers are a funny folk, don't you think? I know I would be more inclined to post a comment on the dog rather than your art because I am more comfortable saying something about the dog. Art is so personal and I don't feel I have enough experience to say more than "I like it" which isn't particularly helpful. I enjoy seeing your work and the thought process you put into it. 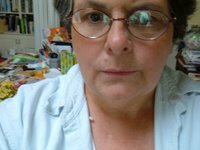 I am trying to grow as an "artist", so maybe someday I can offer something more. Just what I was going to post--we don't want to hurt each other's feelings. Positive art critique is the very bones of good art instruction. Don't be afraid of it. You can say something about the construction, design, texture, colors etc without hurting anyone's feelings. It's all in how you say it. And if the artist asks for feedback and you have something-- go ahead. If you hurt someone's feelings--I guess they won't ask next time. I wanted to say something about the lamp, but I wasn't sure what..so I didn't say anything at all. And I do know more about grocery bags than art. That's safe! It was very very weird - but I did feel extra good for a few days after! It is difficult to comment on someone's art-in-progress because I think, and this is just MO, when the commentator is not an artist then other things like personal taste might factor in the suggestions or critiques. 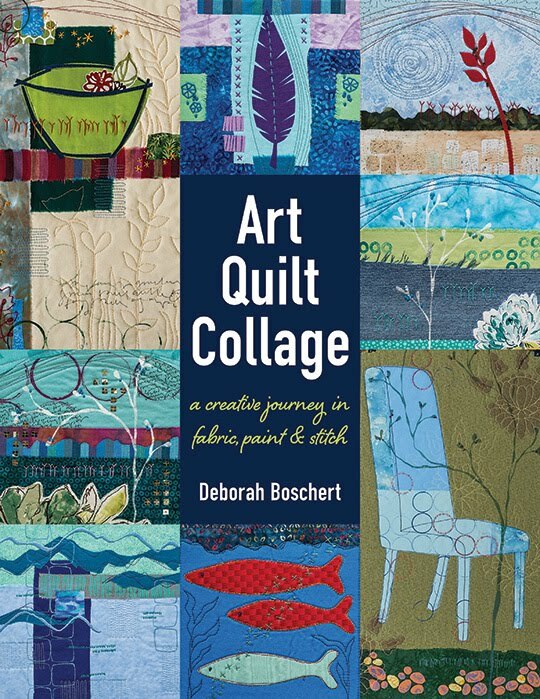 For instance, when I looked at your piece with the hand, my first thought was I would have stitched the beads in a manner as if they were being poured from the hand onto the leaves, as in sowing(sewing) seeds. Otherwise, I really liked the piece. 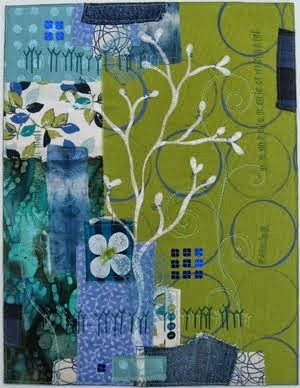 A trained fiberartist would comment on other factors of your piece. Anyways, that is just a tiny bit of my thoughts on this so I will stop here. BTW I am not a blogger and wouldn't ever find the time, but I love to read art blogs.